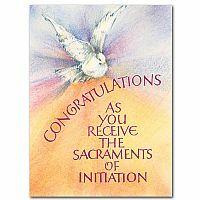 Congratulations as you come into the fullness of the Christian life. 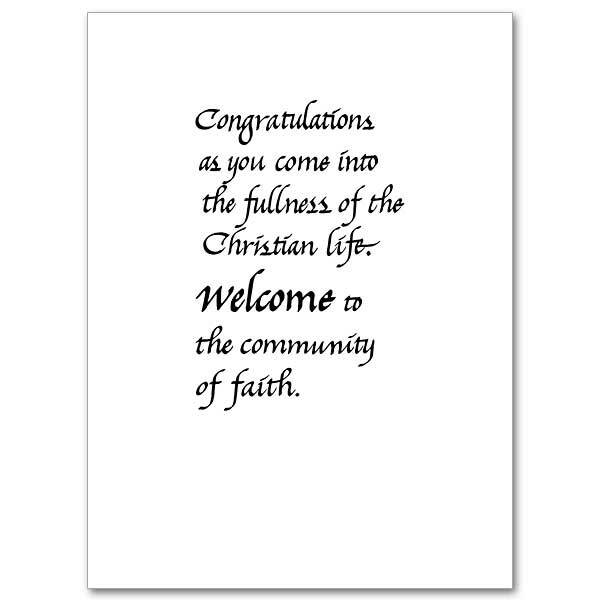 Welcome to the community of faith. 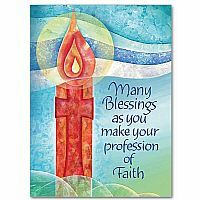 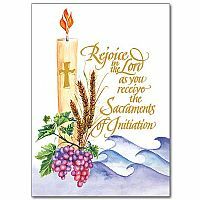 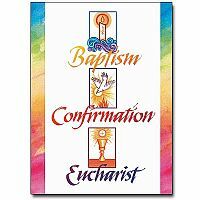 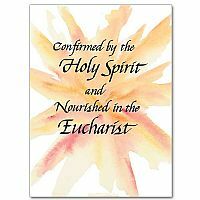 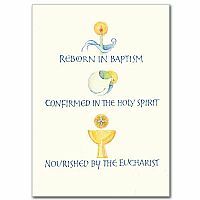 This card is intended for a baptized Christian of another tradition who is being Confirmed and receiving Eucharist for the first time in the Catholic Church. 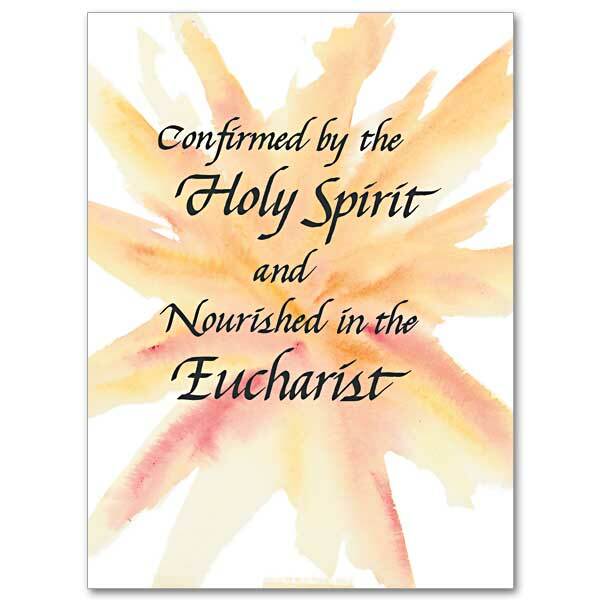 Black Italic lettering over an orange, red and yellow watercolor sunburst.